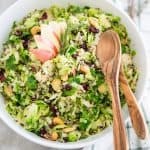 This Apple Cranberry Cashew Shaved Brussels Sprouts Quinoa Salad is super delicious and can be made days in advance. You’ll love having it in the fridge. Brussels sprouts are absolutely the best when it comes to making salads! Honestly, I think it’s my favorite way of enjoying those cute mini-cabbages. 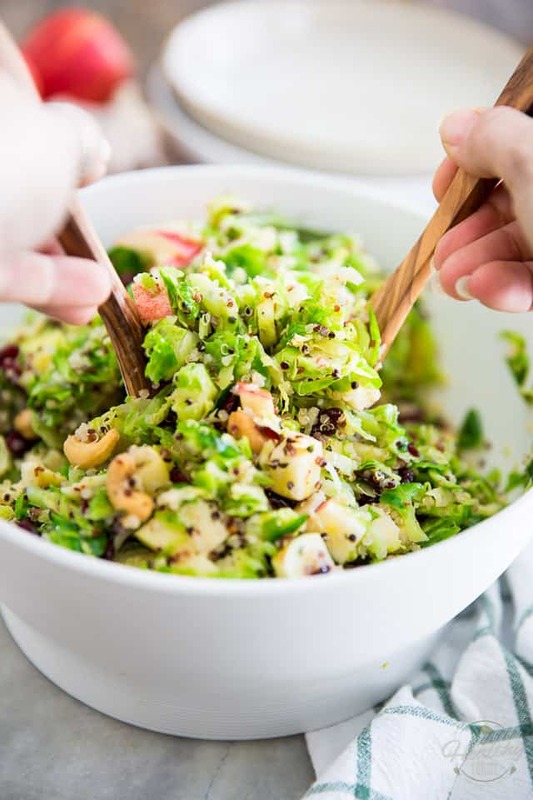 When properly prepared, salads made with Brussels sprouts will have you completely forget about their main ingredient, so even those who really don’t care for the tiny green buds could easily fall in love with them. 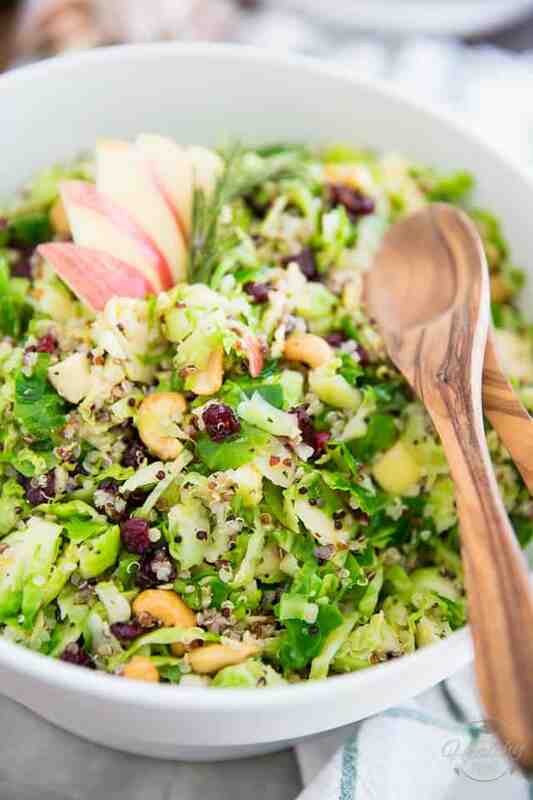 Give this Shaved Brussels Sprouts Quinoa Salad a try. 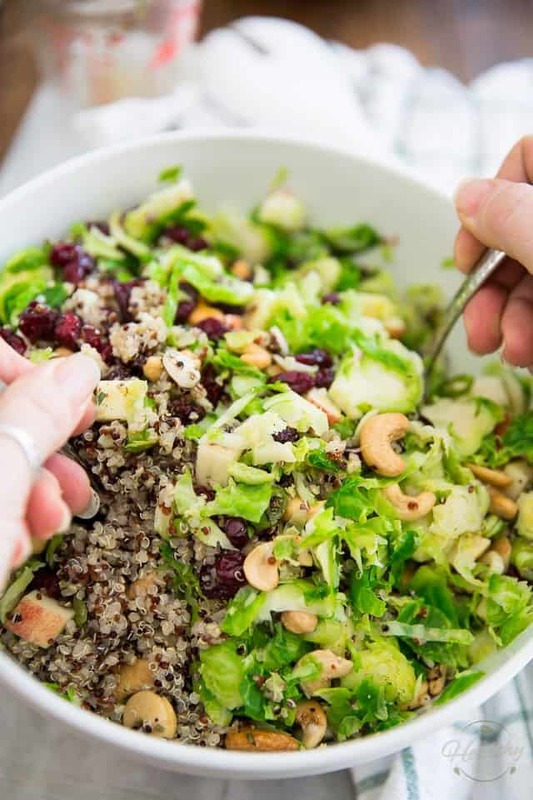 With its generous offering of crisp sweet apples, tart and chewy dried cranberries, nutty, creamy dry-roasted cashews and half-chewy, half-crunchy quinoa, it’s so utterly loaded with delicious flavors and textures, it’ll have you completely overlook the fact that you’re actually feasting on… Brussels sprouts! Plus, not only is it super nutritious AND delicious, it’s also incredibly pretty to look at. And I say pretty food is much more likely to get adopted unanimously, right? 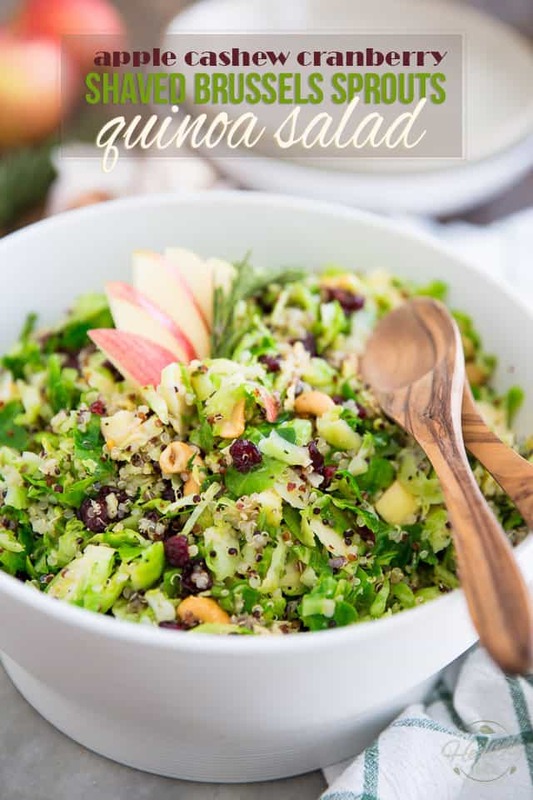 In fact, I’m just about ready to bet that this salad will instantly become a family favorite, and yes, that also includes kids and hubby, and even teenagers! To start, trim off the bottoms and outer leaves of your Brussels sprouts and then shave or slice them really thinly. 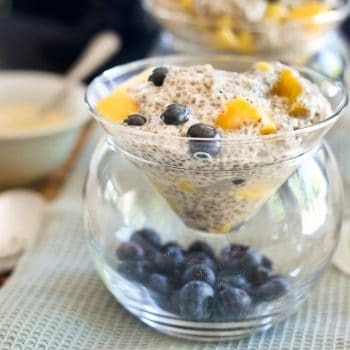 I find the most efficient way to get this done is by using the slicing disk of your food processor, but alternatively, you could grate them with a box grater or slice them thinly with a sharp knife. Seriously though… look at how efficient the food processor is at doing this! The whole bunch got shaved in under a minute. And how perfectly, too! Next, bring about 8 cups of salted water to the boil; while waiting for the water to boil, prepare a large bowl with lots of icy cold water and reserve. 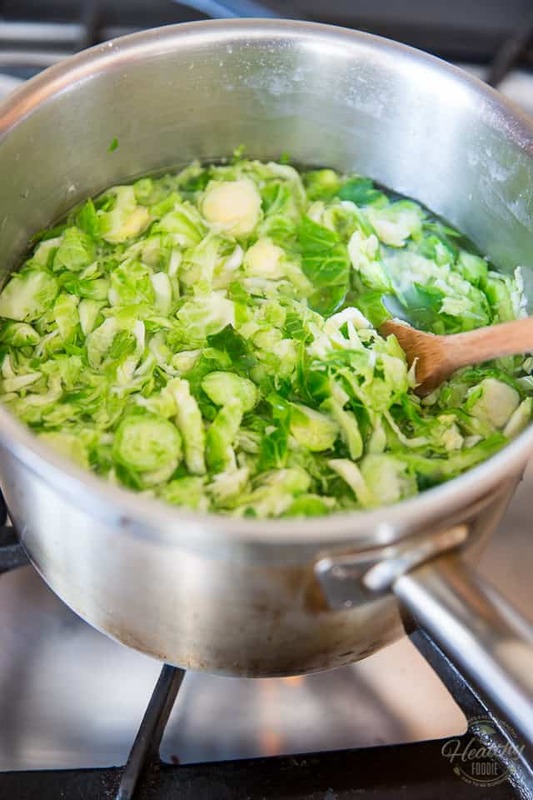 As soon as the water starts to boil, carefully add the shaved Brussels sprouts to the pan and leave them in for about 30 to 45 seconds, just until they’re slightly softened and turn a beautiful vibrant shade of green. 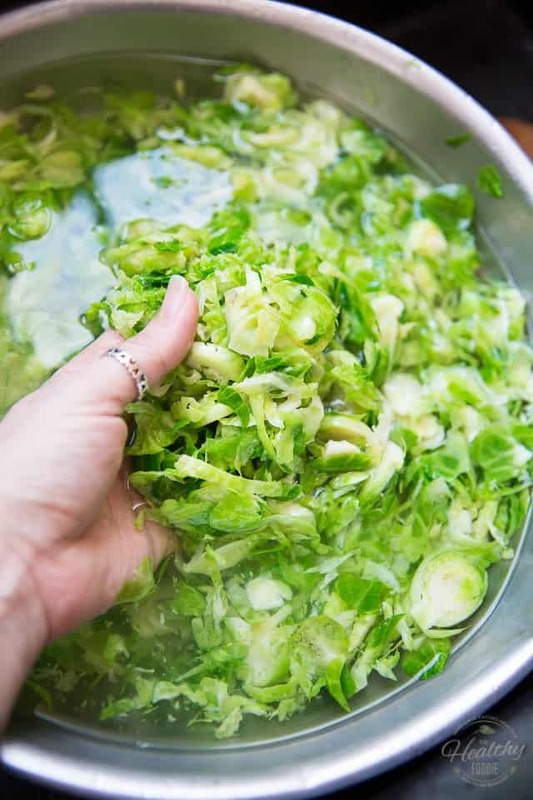 Drain and immediately plunge the blanched Brussels sprouts in the icy cold water then move them around delicately until completely chilled. This will stop the cooking process and seal in that beautiful vibrant green color. The key to success here is to really add lots of ice to your water: the colder that water bath is, the more efficient it’ll be! When the sprouts are completely chilled, transfer them to a colander and let them drain until you are ready to use them. 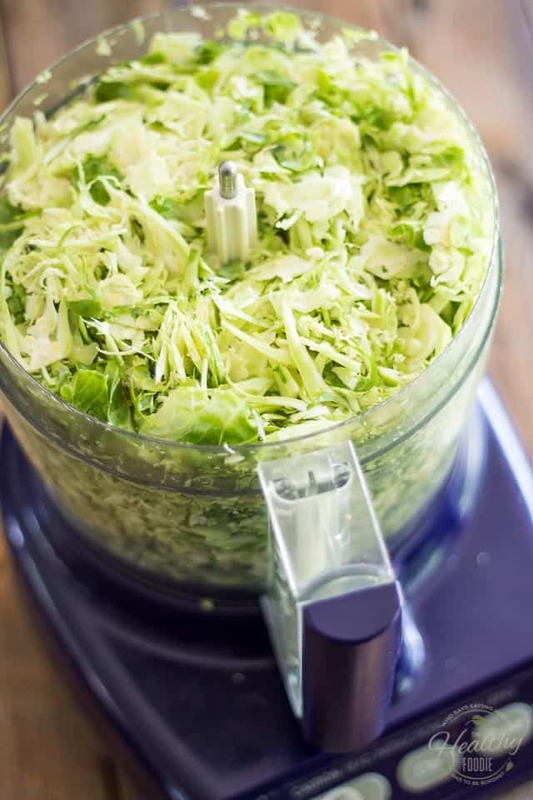 While the sprouts are draining and drying out a bit, make the dressing by combining all the ingredients together in a bowl or glass measuring cup and then whisk them vigorously until they’re very well blended. Next, combine the (hopefully done dripping by now) Brussels sprouts, leftover cooked quinoa, dried cranberries, dry roasted cashews, diced apple and green onions in a large mixing bowl and then pour in the vinaigrette. 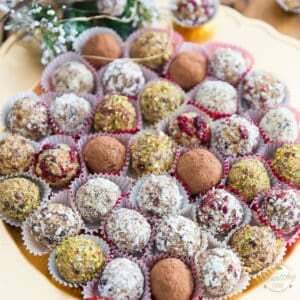 Mix delicately until really all the ingredients are well combined. Your salad is now ready to serve, but it would benefit immensely from spending a little bit of time in the refrigerator. Try and give it at least a couple of hours to allow the flavors to meld and develop. Also, this salad will keep well for 4 to 5 days in the refrigerator. The cashews might go a little bit soft on you, but personally, I don’t mind that at all. I actually like the soft and creamy texture that they take on after sitting for a prolonged period of time with moist ingredients. If you prefer to keep yours on the crunchier side, though, don’t hesitate to add them only at the last minute. 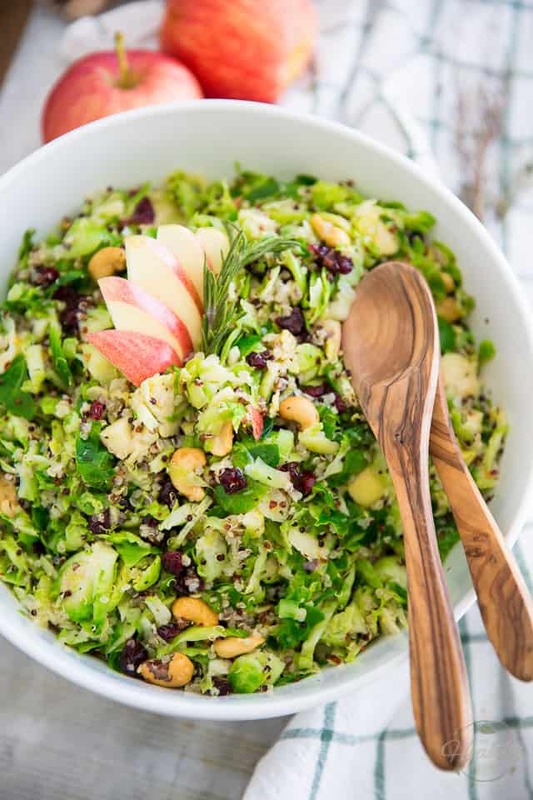 This Apple Cranberry Cashew Shaved Brussels Sprouts Quinoa Salad is super delicious and can be made days in advance. You'll love having it in the fridge. Trim off the bottoms and outer leaves of your Brussels sprouts and then shave or slice them really thinly. 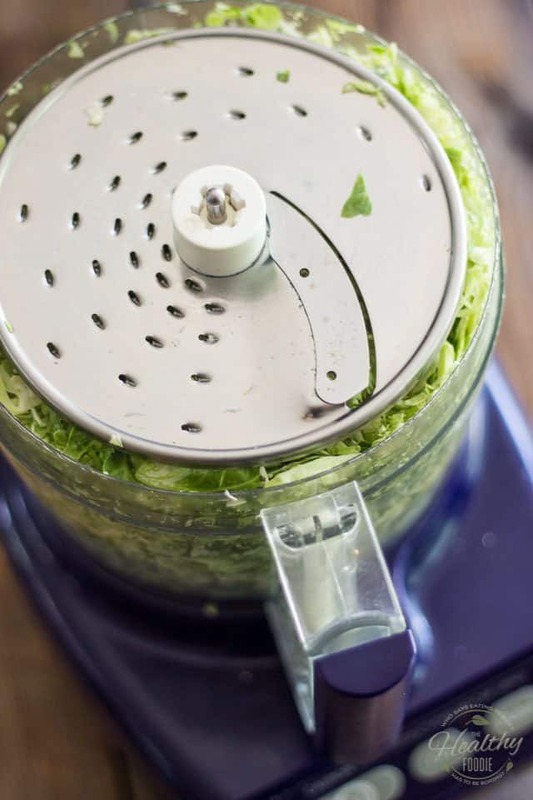 The most efficient way to get this done is by using the slicing disk of your food processor, but alternatively, you could grate them with a box grater or slice them thinly with a sharp knife. Bring about 8 cups of salted water to the boil; while waiting for the water to boil, prepare a large bowl with lots of icy cold water and reserve. 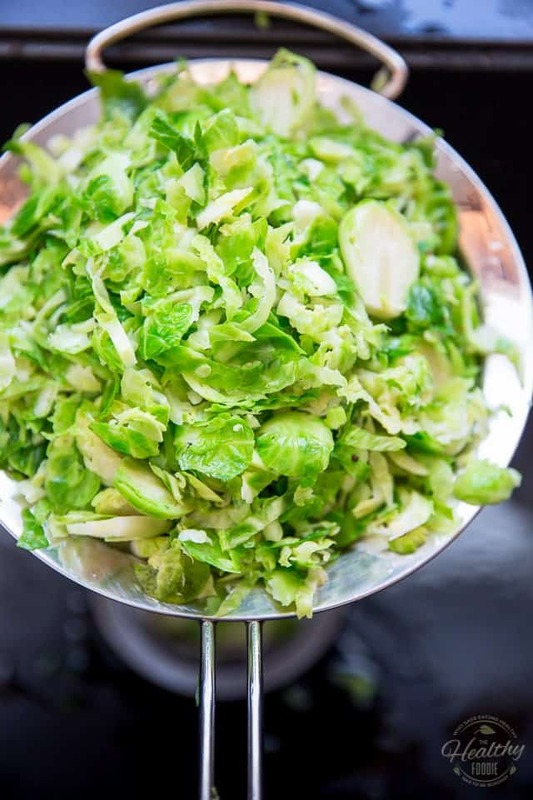 As soon as the water starts to boil, carefully add the shaved Brussels sprouts and leave them in for about 30 to 45 seconds, just until they're slightly softened and turn a beautiful vibrant green. Drain and immediately plunge them in the icy cold water then move them around delicately until completely chilled. Transfer to a colander and let drain until ready to use. 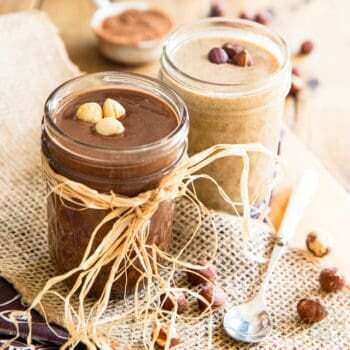 Make the dressing by combining all the ingredients together in a bowl or glass measuring cup and whisking vigorously until well combined; set aside. 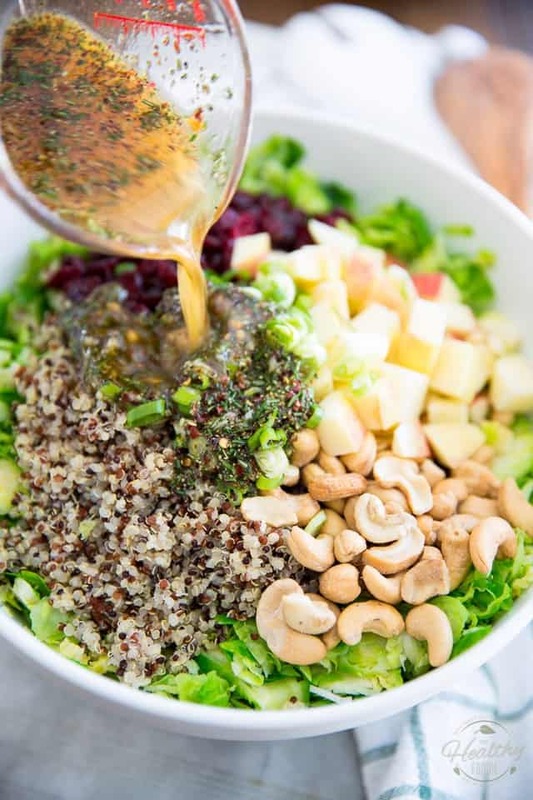 Combine the Brussels sprouts, cooked quinoa, dried cranberries, dry roasted cashews, diced apple and green onions in a large mixing bowl. Add the vinaigrette and mix until really well combined. 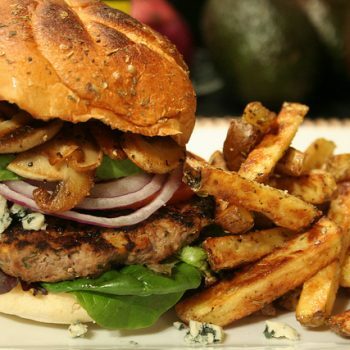 Serve immediately or place in the fridge for a couple of hours to allow flavors to develop. 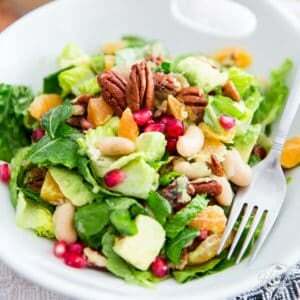 This salad will keep well for 4 to 5 days in the refrigerator. 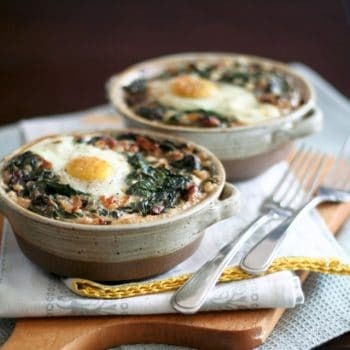 Holly crow, this recipe is to die for!! 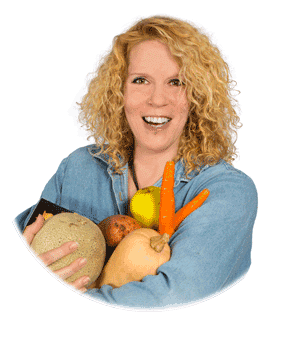 I love that your not only getting a good intake of protein from the quinoa and cashews, but your also getting your vegetable intake as well. 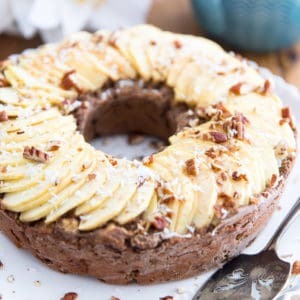 Definately a go to recipe, and perfect to have on hand. Your also right it looks beautiful while tasting great with so many flavors that mold perfectly together!! Thank you Brittany! I’m really happy to hear that the recipe was to your liking! And thanks much for taking the time to let me know, too. I greatly appreciate that! Tasty salad recipe. I agree, shaved Brussels act as the perfect salad base with the tons of topping. You can also some spies int it if you are a spice lover. 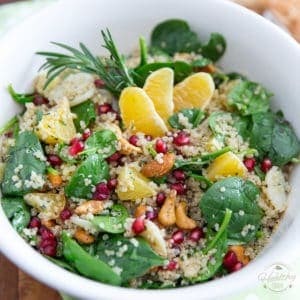 Tasty and Healthy salad recipe. Looks Great ! Thanks for sharing !